Marjorie Maddox reviewed "Windthrow" by K. A. Hays. A new poetry book by K. A. Hays is all about weather—both the noun and verb forms. The book’s title, “Windthrow,” is a forestry term for the way wind uproots trees. It speaks also to how we weather this life of breeze and tsunami. Filled with wind, sea, forest, and bees, the poems move between light and shadow, negotiating happiness and grief. Appropriately, Hays has dedicated her book “to you.” (As I wrote this, the “you” inscription felt plural. It was March 14th, and all of us here in central Pennsylvania were enduring a windy winter storm. Stella’s snows had buried the daffodils that had peeked out, too early, just a few weeks before.) In both her dedication and poems, the poet’s plural use of the word "you" reminds us that we are all drawn to renewal. Nevertheless, too often we stumble onto ruin. Thankfully, the lush poems that are "Windthrow" are home-again songs that wash up unexpectedly on warm sands and also crooked notes that veer suddenly into deep woods. They are both whoosh and wonder. They will cry at your locks and rap at your windows. It’s windy outside. Let them in. 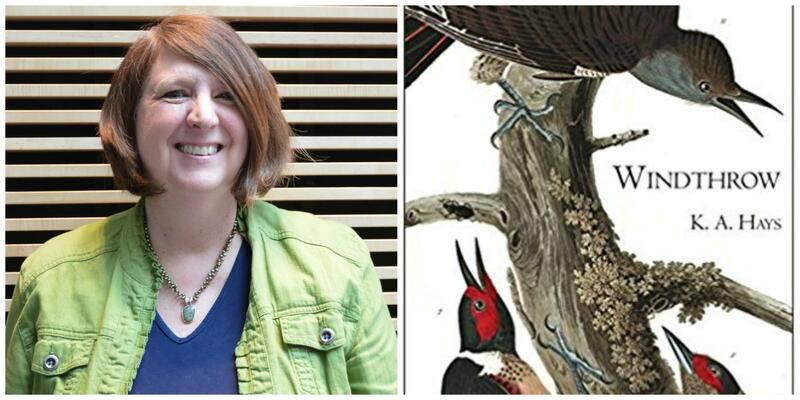 "Windthrow" by K. A. Hays is published by Carnegie Mellon Poetry Series. Reviewer Marjorie Maddox is a professor of English and creative writing at Lock Haven University. She's also a writer and her most recent publication, a short story collection called "What She Was Saying," was published in March. From T.S. Eliot to Gerard Manley Hopkins, Emily Dickinson to Flannery O’Connor, faith and poetry have long been companions. Each is a guide, in its own way, to grace. 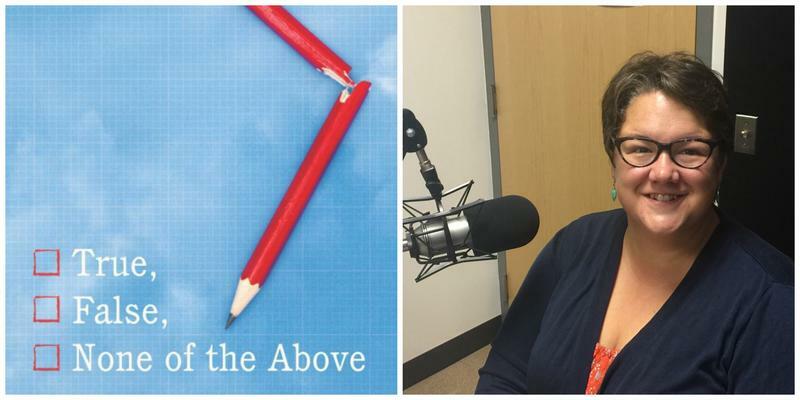 In True, False, None of the Above, poet Marjorie Maddox tracks her own relationship with faith and doubt, and the repeated ways in which literature, faith, and students challenge and resurrect her beliefs. Todd Davis, a professor at Penn State Altoona, teaches environmental studies, creative writing, and American literature. In his newest book of poems, Winterkill, he draws on all of these experiences. 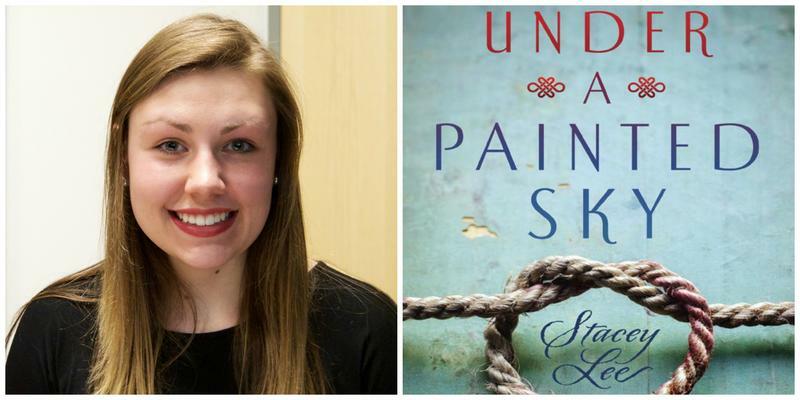 In Stacey Lee’s young adult novel "Under a Painted Sky," two fugitives from the law travel west on a journey to find freedom from their pasts. Samantha is wanted as a murderer and Annamae is a runaway slave. The women disguise themselves as men and learn the true meaning of survival in the dangerous West. Along the way, they encounter and befriend three boys, whom they begin to view as their family. They work together to protect each other at all costs on their journey.